Gather, a word that filled my mind this year as I thought about the holidays. 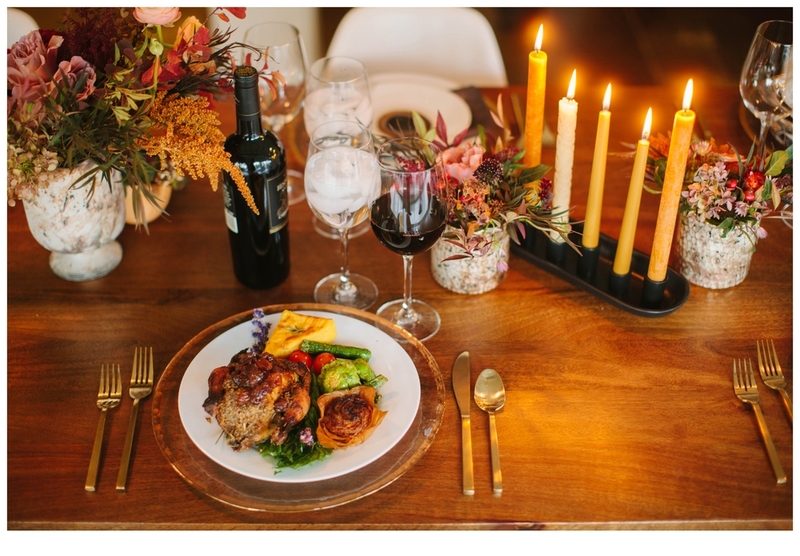 In that word, Carly and I were able to create a beautiful, non-traditional "Friendsgiving" dinner focused on gathering. Our friends hold a special place in our hearts and should be a part of our holidays. 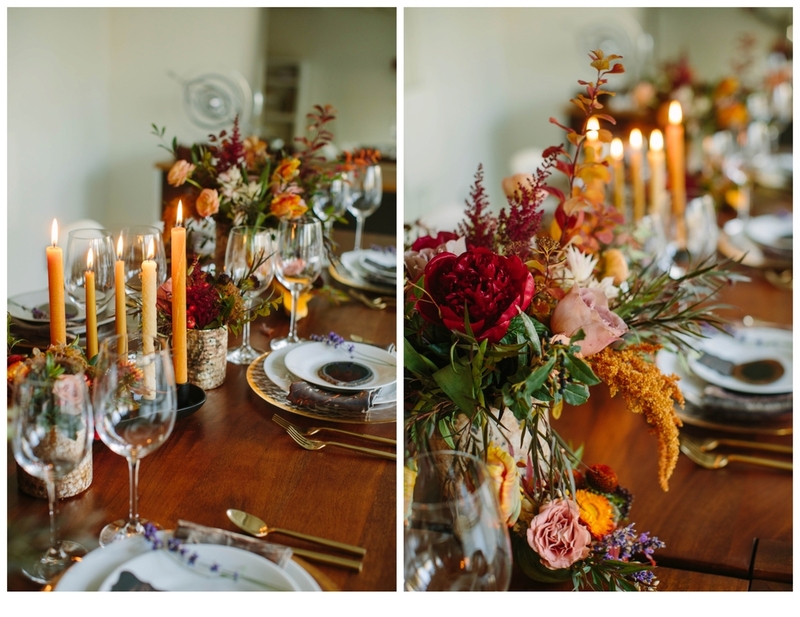 Our color palette was warm and inviting, but not your traditional fall colors. I loved using the butternut squash as a container and black accents gave it a clean urban feel. Carly and I are thankful for the wonderful vendors that brought their talents to help us. 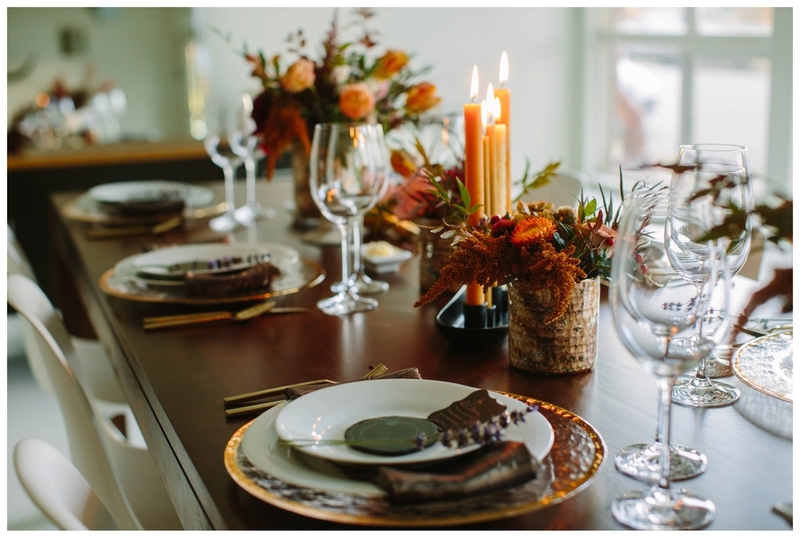 Cravings Catering created a delicious menu (Cherry, Pecan Quinoa and cornish hens-Ah-mazing!) 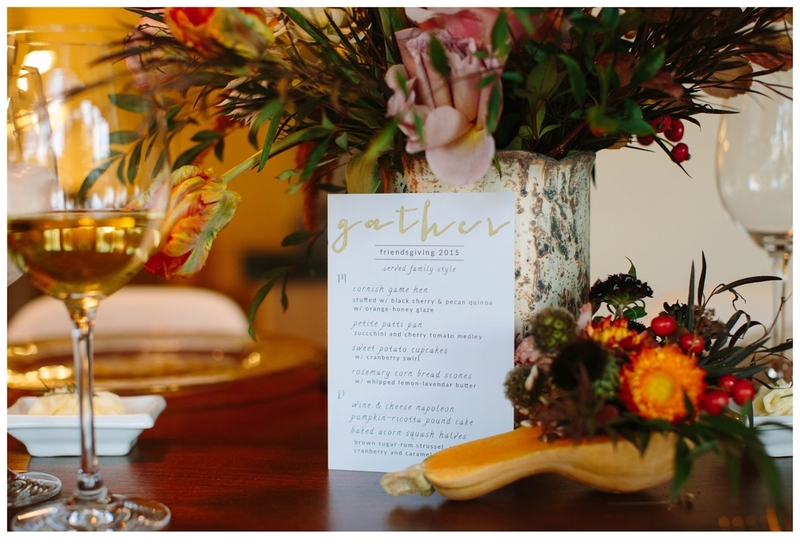 and Event Rents provided such pretty rentals-the muted gold flatware was gorgeous! Carly captured the details and evening beautifully! I couldn't have done this without her. I loved spending the evening with these fabulous people!